The best neighbourhood restaurants have a warmth and generosity that can’t be faked. They draw you in with relaxed yet assured service, a cosy setting and a menu full of dishes that’ll make you want to return time and again. Mr & Mrs Howell in Brunswick ticks all of those boxes, as we discovered when we were invited to try their new seasonal menu recently. Having just notched up two years on Sydney Road, this laidback eatery has nailed the comfort brief with a welcoming assembly of exposed bricks, pressed iron ceilings and cushioned banquettes. Shelves are filled with a curious collection of antique bric-a-brac – toys, statues and vintage tea sets – adding to the sensation that you’re dining in a friend’s home. That feeling is amplified with Kate on the floor, who’s there to keep your glass charged and your plate full. Towards the back of the restaurant, chef Mark Brozic potters around his open kitchen, presenting a globetrotting menu that slips happily between Asian, Mediterranean and Middle Eastern accents. Kate allays our indecision by offering half serves of some of the dishes, so we create a tasting menu of sorts from the 20-odd tastes on offer. 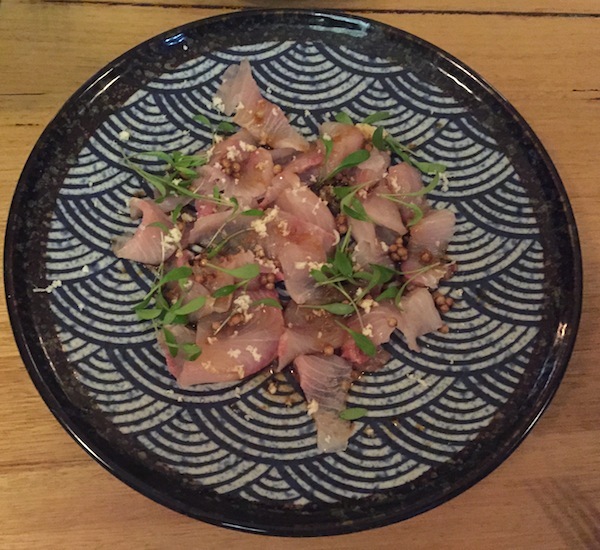 First up is a special of kingfish ceviche, the delicate flesh thinly sliced and fanned across the plate. It gets its pep from a sweet-savoury sprinkling of caramelised coriander seeds, the warming heat of freshly grated horseradish, and the refreshing zip of coriander cress. Next, Mr & Mrs Howell sets course for the Middle East, as a selection of mezze-style dishes cover the table. Lip-smacking zucchini kofta with a spice-rich tomato sauce and cumin-spiked rice offer a nod to Lebanon; so too a dish of roast cauliflower tossed with currants, parsley leaves and a light pine nut sauce. Spiced goat kebabs also come to the party. Here, the lean meat is a tad dry and unyeilding, but the herb-flecked burghul salad and tangy dollop of tzatziki help it along. Our main course meanders back to Asia, with an aromatic Thai green curry enriched with sweet potato, green beans, hunks of lightly charred zucchini and a flurry of coriander sprigs. 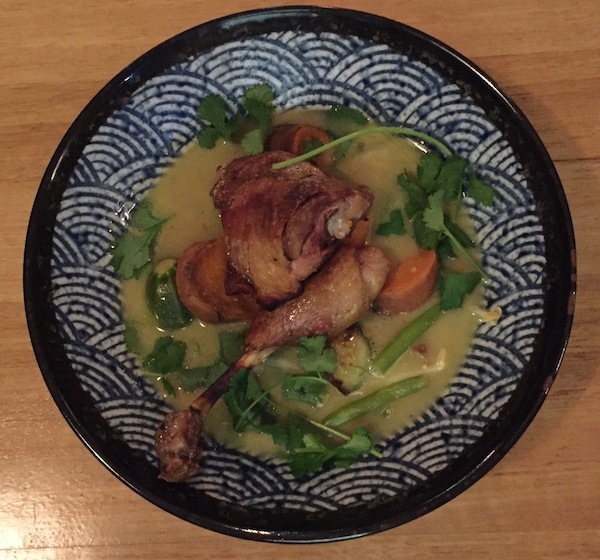 Atop the brothy curry sits a pair or burnished duck legs, the meat fork-tender and flavourful. We round things out with a trip to Old Blighty for dessert. Sticky, rich and deeply satisfying, the brown ale pudding sits in a pool of salted caramel and pure cream. The epitome of winter-perfect comfort food, it’s warm, generous and unpretentious, just like the restaurant itself.